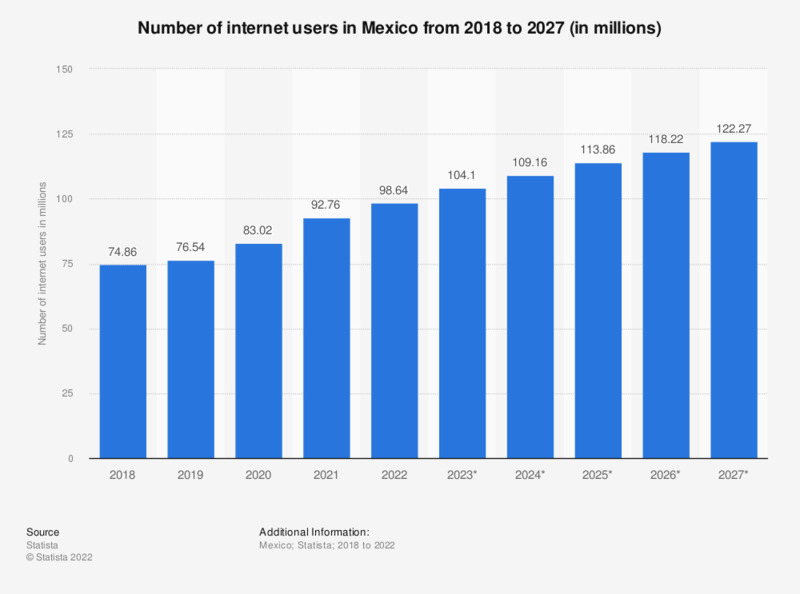 This statistic provides information on the number of internet users in Mexico from 2015 to 2022. In 2016, Mexico had 61.3 million internet users. This figure is projected to grow to 76.69 million internet users in 2022. Do you or does anyone in your household have access to the internet?